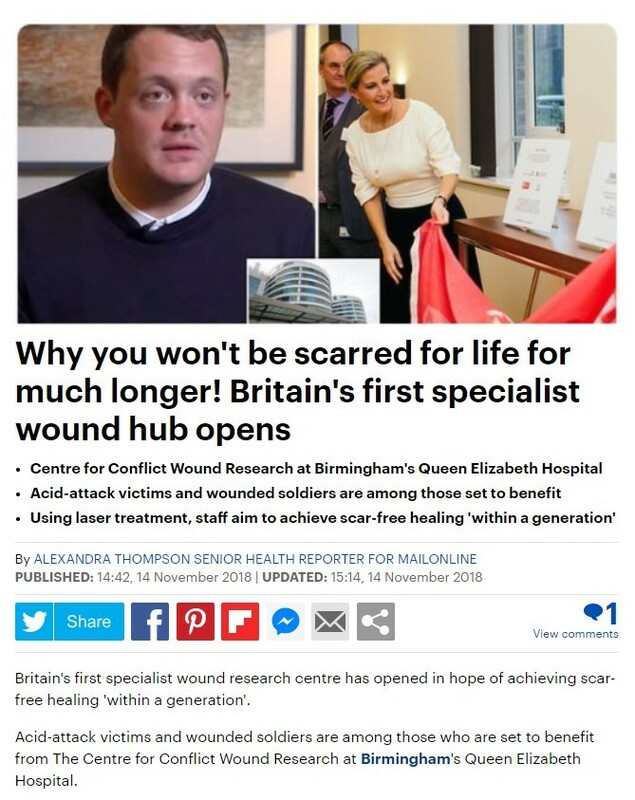 Yesterday our Royal Patron HRH The Countess of Wessex opened The Scar Free Foundation Centre for Conflict Wound Research. The opening received attention across both local and national media. We are delighted to share some of the key coverage from the day. All coverage can be reviewed here. Accompanying article is available here. Sign up to our e-newsletter, which goes out up to six times a year, to stay updated and find out more about the pioneering research we are leading to make our vision of a world without scarring a reality.